COLUMBIA, S.C. (AP) — The South Carolina woman who won $878 million in the biggest jackpot payout to one winner in U.S. history wants to share her windfall with the city and state where her good fortune happened. The winner still wishes to remain anonymous because she wants to “live a life of relative normalcy, free of fear,” she said in a statement issued Thursday by her lawyer, Jason Kurland. The statement answers some questions about the winner after the South Carolina lottery announced the winning ticket had been claimed 10 days ago. 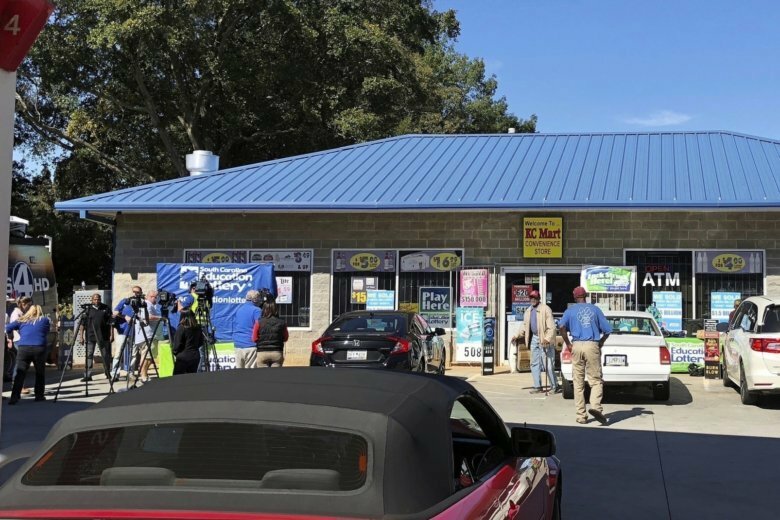 She is a woman, from South Carolina — exactly where wasn’t disclosed — and was taking a scenic drive on two-lane state Highway 417 in the Greenville area in late October when the signs advertising the billion-dollar jackpot at the KC Mart in Simpsonville caught her eye. “She decided to take a chance and purchase a ticket, never once thinking she had the slightest chance to win. After checking her ticket the morning after the drawing, she was in complete shock and disbelief. She stared motionless at the ticket for what felt like hours, then came the jumping and screams of joy,” Kurland wrote in his statement. An earlier statement from the lottery said the woman had the lottery computer pick her numbers and let someone go in front of her in line to buy their tickets. The woman wouldn’t officially claim the winning ticket for 131 days. She took her time researching lawyers and financial planners who could help her stay anonymous and manage her newfound wealth, her statement said. The jackpot for the Oct. 23 drawing was $1.5 billion if the winner took payments over 30 years. Instead, she chose the lump sum of $878 million. The winner has already donated money to several charities, including the City of Simpsonville Art Center; the One SC Fund for hurricane relief; the Ronald McDonald House in Columbia; In The Middle, a charity in Columbia helping women undergoing breast cancer treatment; and the Red Cross relief fund for victims of the recent Alabama tornadoes, according to the statement, which didn’t say how much she was donating. “I do realize that such good fortune carries a tremendous social responsibility, and it gives me a unique opportunity to assist, support and contribute to charities and causes that are close to my heart,” the winner said. And every income taxpayer in South Carolina may also end up winning. The state’s budget plan that just passed the House offers a $50 rebate check to every taxpayer symbolically linked to the estimated $61 million in state income taxes the winner will pay on the jackpot.